Oracle is an object-relational database management system created and marketed by Oracle Corporation. Oracle 11g course is the latest and most refined Oracle database. It permits high-speed transactions, sophisticated applications and higher business selections. These capabilities offer users the practicality to make high-quality and economical info applications.In most relative databases, information is accessed through SQL, or Structured query language, and Oracle is not any exception. PL/SQL is that the procedural language extension to SQL. PL/SQL could be a programming language like C, Java or Pascal. Within the Oracle world, there are no higher thanks to access your information from within a program. SQL are often natively embedded in PL/SQL programs. Oracle Courses (for DBA training) or oracle online training at Zenfotec, is aimed towards people WHO wish to make their career in IT infrastructure field. Anyone can be a part of these oracle courses, be it the scholars, individuals operating in another IT/ non IT areas who need to move into IT infrastructure or individuals operating in IT Infrastructure (or even with Oracle Database) WHO need to boost their skills. Anybody can take this Training Course. A basic knowledge of database can be helpful. Join Zenfotec Solutions, the best institute near HSR Layout, Silkboard, Bannerghata, Electronic City, Bangalore. Get trained from top industry experts. Get real time hands on experience on case studies. Get course completion certificate with placement assistance. For batch timings, demos (Online & Offline), and more, contact us or visit our office. Enroll our through Oracle DBA Online Training in Bangalore and get all the Oracle DBA skills with project-based Oracle DBA training. 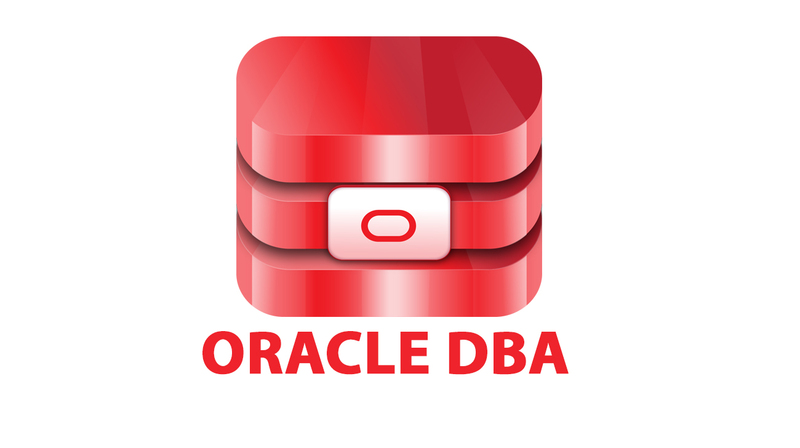 Oracle database Overview, Introduction to DBA, DBA Responsibilities. Understanding Oracle Architectural components, Instance, Database, Logical Structures and User & Server Processes. Database Admin Tools, Database Administration users. Understanding Data Dictionary Contents, Initialization Parameter files, Understanding Options of Startup & Shutdown Monitoring Alert Log files, Background trace files and User Trace files. Managing Tablespaces, Datafiles, Understanding Dictionary & Locally Managed Tablespaces,Temporary Tablespaces, Big File Tablespaces. Configuring OMF for tablespace creation. Using appropriate Storage settings, Types of segments. Creating & Maintaining Indexes, Rebuilding Indexes. Understanding undo segments, Automatic undo management, Retention policy, Switching Undo tablespaces and Flashback queries. Managing Controlfiles, Multiplexing & Recreating Control Files. Understanding Redo Log files, Adding and Dropping Redo Log groups and members. Understanding client/server, Oracle net Architecture & key components, Oracle net services server side configuration, Configuring the Listener, Understanding Static & Dynamic service registrations, Listener control utility, Oracle client software installations Oracle net services client side configurations, Dedicated & Shared servers, Configuring Shared servers & Dispatchers Creating DB Links, Materialized views. Understanding Background processes, Memory structures and Files related to recovery, Phases for instance recovery. Configuring the Database Archive Log mode, changing the Archive mode, Enabling Automatic Archiving, Manually Archiving Redo Log files. Understanding Flashback Database, Configuring Flashback Database and Recovery using Flashback Database. Understanding RMAN, Features & Components, Repository, Configuring the environment, Maintenance commands. Advantages of using Recovery Catalog, Creating & Managing the Recovery Catalog. Recover datafile, tablespace and block corruption using RMAN. Differences between 10G & 11G RMAN features. Gather Optimizer statistics View performance metrics Manage the automatic workload repository (AWR) Using ADDM (Automatic Database Diagnostic Monitor) Set warning and critical alert thresholds. Using TKPROF, SQL trace, Explain Plan SQL tuning adviser, ASMM, Memory adviser Row Migration and row chaining Global temporary tables, External tables OS Tuning. 16+ Years of experience in IT Industry as Oracle DBA Trainer. Expert in Oracle Architecture, Backup & Recoveries, RMAN Performance tuning and UNIX operating system & utilities. Hands on experience in Oracle DBA and SQL right from installation, granting access, troubleshooting, etc. 10+ years experience as Corporate trainer, Class room and Online . Taught Overall 150+ Batches . What are the various modes of training that Zenfotec offers? Toggle content goes Apart from technical training & hands-on project work Zenfotec will guide the students to get placed in there dream roles and we would be happy to assist students with the process of preparing yourself for the interview and the job.here, click edit button to change this text. Can I request for a support session If I find difficulty in grasping topics? We provides you email support to your queries. If the query is not resolved by email we can arrange for a one-on-one session with our trainers. The best part is that you can contact Zenfotec even after completion of training to get support and assistance.